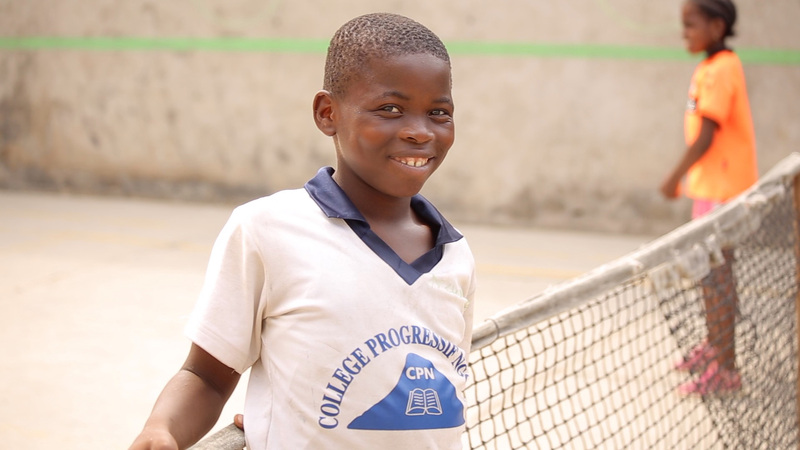 To provide children in Cameroon, Africa the opportunity to improve their lives through the sport of tennis. We envision a Cameroon where every child has developed the skills and confidence to build a better future for themselves and their communities. Give health. Give education. Give happiness. Give HOPE. Together it’s amazing what we can achieve. Fight globally. Act locally. 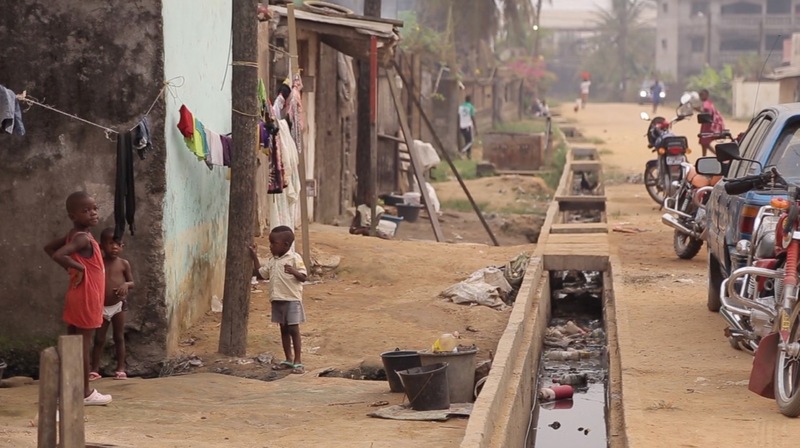 You don’t need to go to Africa to make a difference. OTA needs you wherever you are. Your voice is powerful, help us by sharing our stories and spreading the word about OTA. This is Leigh. She is 7 years old now. She has been playing tennis since she was three. This video was taken when she was five. There are at least 20 more children with her extraordinary ability. The only resource they have is OTA. OTA takes children from the age of three and through tennis, helps them develop not only tennis skills but life skills. Everyone benefits, though not all have Leigh’s potential. With your help, Leigh and others like her might someday play on the world stage, might someday be number one in the world! This will not happen without OTA and without your support. Please consider a generous donation now to help Leigh and the other 1,250 children in the OTA program reach their full potential. Ongoing Campaigns - Donate Now! 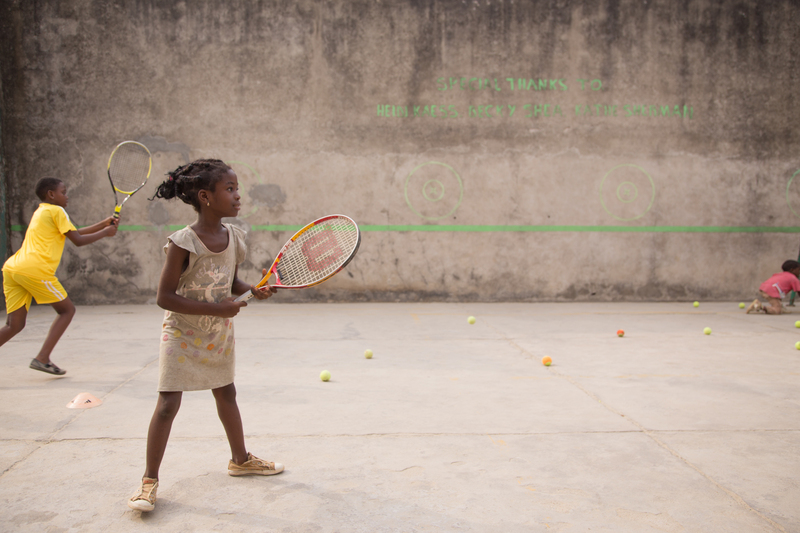 OTA provides children in Cameroon, Africa a safe haven from the oppression of poverty and the opportunity to improve their lives through the sport of tennis. 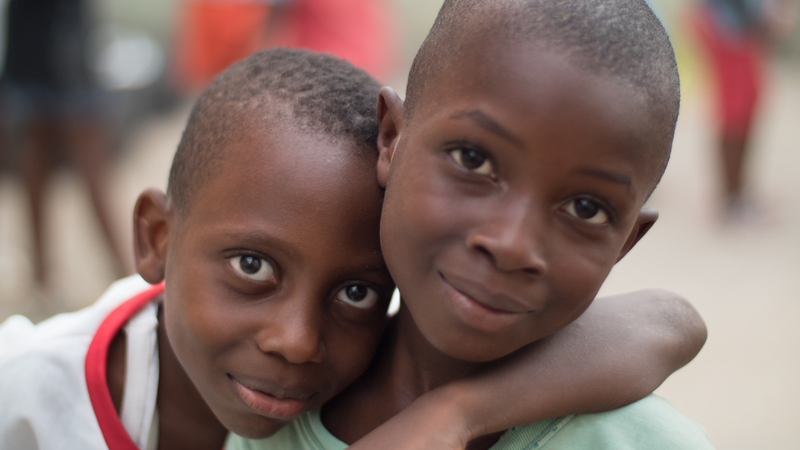 We envision a Cameroon where every child has developed the skills and confidence to build a better future for themselves and their communities. With your help we know it's possible! 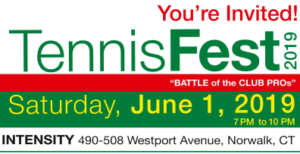 Donations are used to provide all of these children with food, clothing, tennis equipment, training, and the opportunity to compete at the highest level. 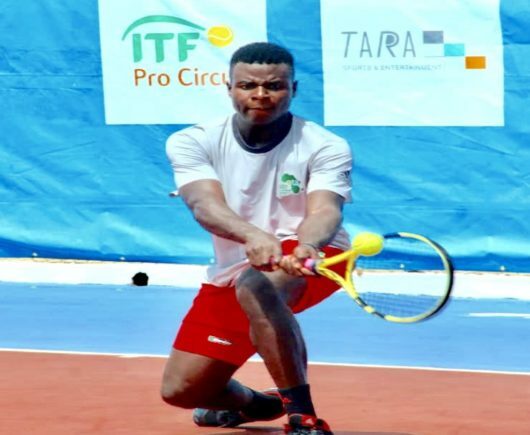 OTA's 19-year-old, Cliford Nkwain, was competing in his second-ever professional event, a $25,000 ITF Futures in Cameroon. He beat Marko Stosic in three sets after going through the qualifying draw and achieved the milestone of winning his first ATP point in singles. This makes him the first player from his African country to do so since 2007 and earned his name into the ATP rankings, at No. 1,744. To continue support for this outstanding achievement and all the international competitors like him, we are raising special financing to support expenses for the upcoming matches on the world stage. More than an individual accomplishment, Cliford represents the hope that OTA brings to thousands of children of Cameroon. Let's help all of them compete to reach the top of their game! 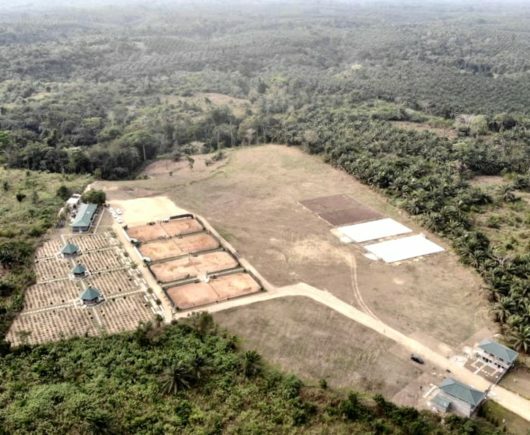 In 2012, a single donation was made to purchase a sixteen acre plot of land about 25 miles outside the capital of Douala, Cameroon. It was acquired with the purpose of creating an oasis for the children of OTA, a place where they could live, study and train - a place where they could feel safe and call their own. In the past few years we have built a facility that currently houses 24 of OTA’s most deserving kids. They are housed, fed and receive tennis training on campus and are bussed daily to local schools to continue their formal education. The vision for the future is that more than 250 children can live, train and be educated on site at the Souza Academy, giving them incredible access to opportunities previously beyond their reach. To realize this vision we will be working hard to raise the funds needed to continue construction and keep moving plans forward. The facility currently includes four clay courts and two completed hard courts, with an additional two hard courts slated to be completed this year. There is a dormitory capable of housing sixteen boys and sixteen girls, complete with separate bathrooms and showers! There are two buildings to house the staff, three small study pavilions, a water tower, pineapple fields, a very primitive kitchen and as of January 2019, there is electricity in the middle of the jungle! 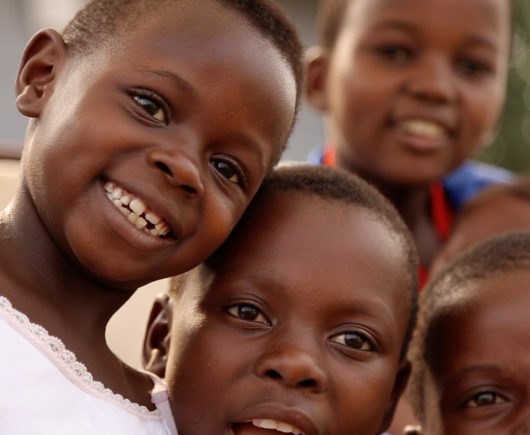 Our goal over ten years starting in 2012 was to raise $1,500,000.00 USD to make this vision a reality. We have raised about half this amount through 2018 and are looking to be able to complete the Souza Academy by the end of 2022. Early Bird tickets are on sale!